Did you ever go to Crete? Well, if not its gastronomy and only worth the visit to this incredible island of Greece. Crete is self-sufficient in year-round fresh fruit and vegetables, as well as in seafood, and proud of its culinary traditions. Cretan food unsophisticated and solid, fresh and plenty. Cretan food dates back to ancient times, when food was not simply something to eat, but a whole lifestyle and a philosophy within the family. As well as that, the food in Crete is incredibly healthy and many claim it as the secret to the Cretan people’s long life span. There is nothing sophisticated about the cooking but the quality and freshness of the individual ingredients: the oil (always fresh olive oil) must be the best, the fish must be fresh, the meat tender and the vegetables preferably just picked from the garden. Cretan specialities are the local graviera cheese and mizithra, creamy white cheese often served instead of feta in the common Greek salad of tomatoes, cucumbers, peppers and onions. 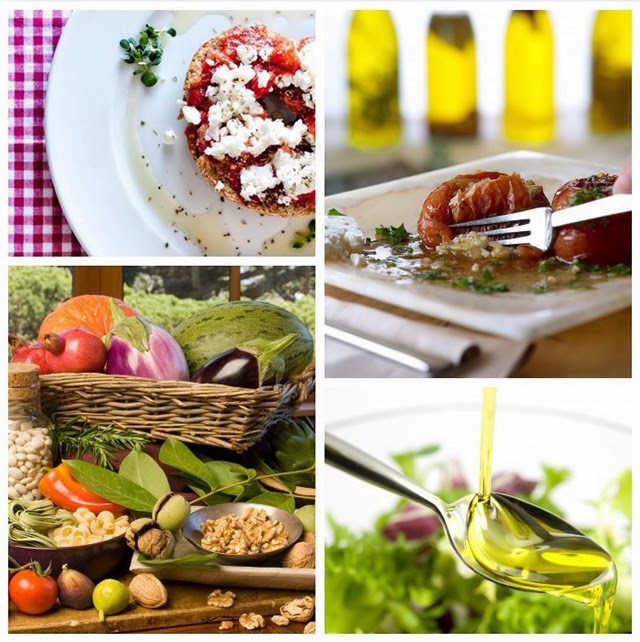 Let's try some of Crete's delicacies and keep in mind that thinking Crete are always tasting better! Dakos salad is a healthy snack and is served as an appetizer. It consists of a round Cretan barley-rusk spayed with virgin olive oil, layered with finely chopped fresh tomato and “mizithra” cream-cheese (Cretan product) and topped with a black olive and some oregano. You can find dakos in every restaurant or café in Crete, but also in some restaurants in Athens, where “mizithra” is usually replaced by “feta” cheese. Apaki is a cold cut, which comes from the mountainous villages of Crete. Made of lean pork, it is first soaked in vinegar for 3 days and then smoked with several herbs. One can find it all around Crete, but it is more popular around Rethymnon and Heraklion. Well-preserved, it’s something you can also bring back home. When in Crete do not miss to try the famous Gamopilafo; it is the most famous Cretan dish, a kind of risotto, cooked with sauce from meat and staka. Finally, if you find yourselves to a Cretan table in a taverna or a restaurant let your host to pay either way the misunderstanding of hospitality can lead to awkwardness because the traditional Cretan hospitality makes it almost duty to act as the host to foreigners.